Every year tile styles transform and evolve, taking on new designs, textures, colours and shapes and in the world of interior design and renovating it is important to stay up to date with the latest trends and products on the market. Here at Stone & Tile Studio, we are welcoming the new year with some of the most high-tech and unique tiles ever made. So if you are looking to plan a bathroom or kitchen redesign with the hottest trends in the tile industry, then here is a rundown of what is expected to trend over the next year. 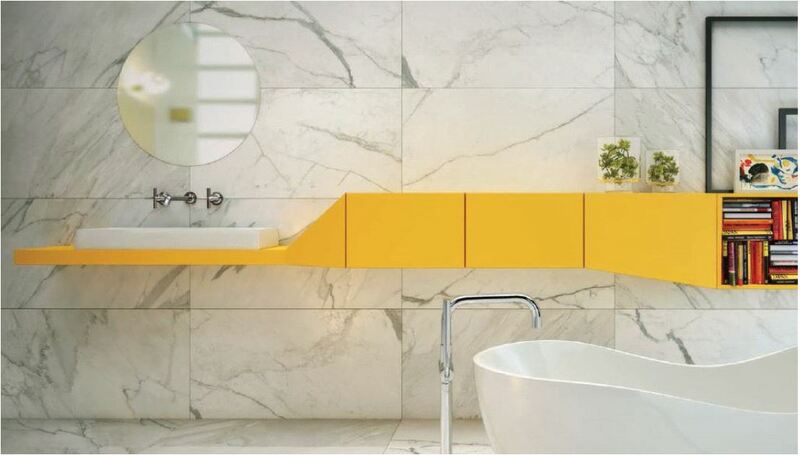 In 2016, porcelain makes it possible for the marble look to go where it has never gone before. Delivering the classic high-end look of marble without the hefty price tag, porcelain marble look tiles is what everyone wants and are available in every imaginable format. When it comes to the marble look, our Calacatta Prague range captures the luxurious look of Calacatta marble with its distinctive vein structure delivered in incredible large format designs. 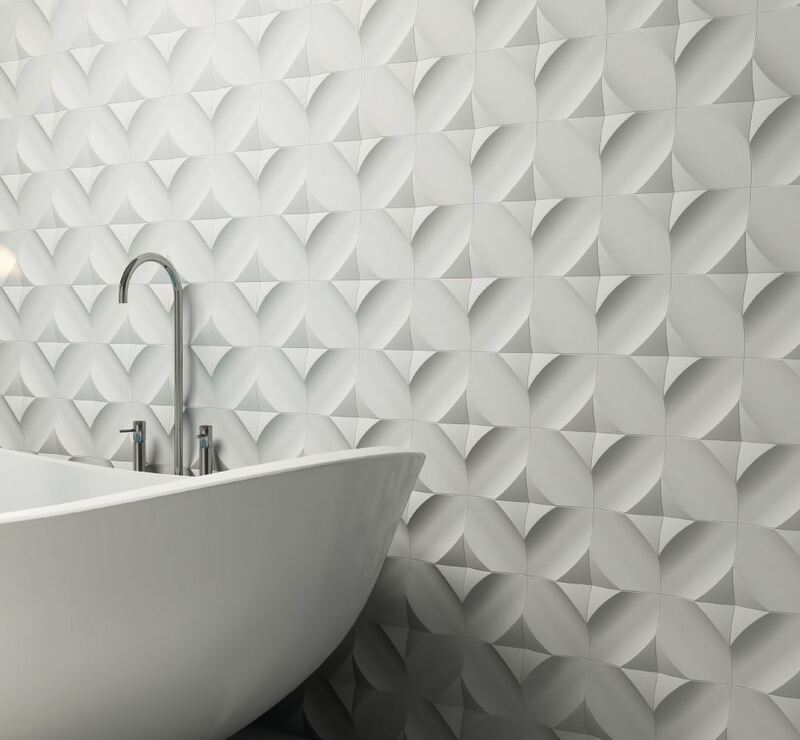 Tiles will jump off the wall in all kinds of 3D designs this year. While trends will still favour neutral colours, textures will be anything but neutral. Look for geometric pattern, waves, handcrafted look, and high-low mosaic patterns. Our WOW feature tiles are available in a myriad of patterns and formations to create an interesting design focal point. 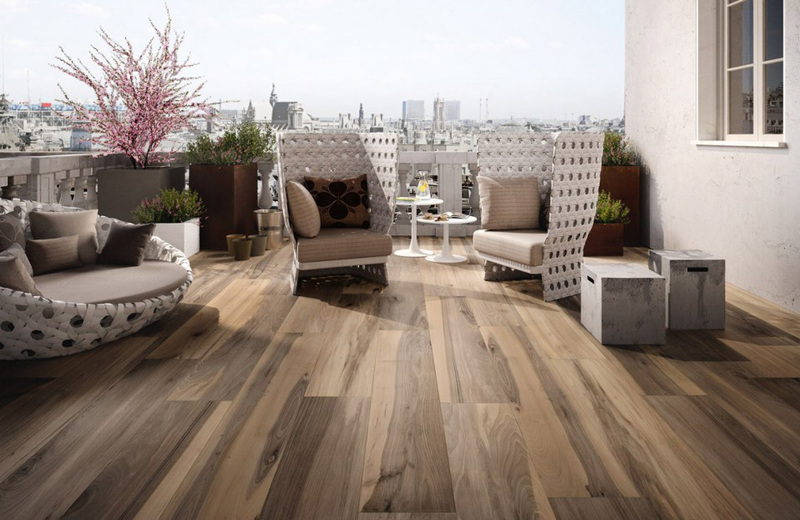 Wood-Look tiles have already been established as a favourite and that won’t change in 2016. Instead, the trends will shift slightly this year toward some creative uses of wood-look tiles. This year, look for tile planks in all sorts of interesting patterns, especially herringbone. You’ll also find wood-look tiles making a strong appearance on the walls. Tile sizes continue to grow each year and in 2016 it is the bigger the better. The improvements in tile manufacturing technology are producing larger square and rectangular formats that are quickly becoming popular with designers and owners. The installation of larger format tiles reduces the amount of grout lines required, creating a clean contemporary style. Utilising the large format products create endless possibilities of design. If you are looking to create the ultimate rustic chic look, then brick-look tiles are the way to go. The introduction of porcelain made bricks is so true-to-life you would struggle to see the difference between the made-made version and the real thing. Brick-look tiles are therefore the stylish, low maintenance alternative to real bricks, creating effective ways to produce a loft inspired environment or incorporate elements of country living within your home. 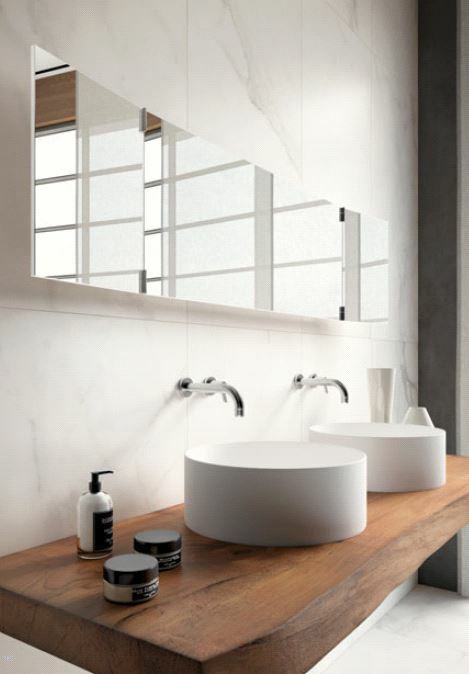 Ultimately, tile is one of those materials you can’t live without. It’s versatile, attractive and can be used in rooms all around the house. Whether you’re installing tile in your kitchen, bathroom or as a backsplash, you want to make sure what you’re adding is in style and helping to increase the value of your home.